Provides leadership to achieve unit, departmental, and institutional objectives within a rapidly changing environment. Applies advanced knowledge of nursing and management to manage systems ofpatient care, personnel development, fiscal and unit operations, performance improvement, and program development. Promotes innovation and excellence in clinical, service, and team performance. Vision: Creates a vision for exemplary nursing practice: quality, safety and service. Communication: Effectively and consistently communicates to superiors, peers, and employees. Routinely provides others with the information they need toperform their job responsibilities effectively. 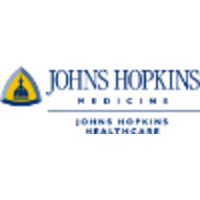 Sets Goals, Motivates and Aligns with the Organization: Inspires staff and generates commitment to the Johns Hopkins’ strategic priorities. Creates a Learning Environment: Develops staff and self through mentoring and continued education. Strategic Planning: Participate in the development and implementation of theJHH Nursing Strategic Plan. Manages Operations: Leads performance improvement efforts. Initiates better ways of doing things even in the absence of apparent problems. Develops and implements work plans and measures against established standards.